All winter, my partner and I kept talking about needing a waterproof pack. I started bringing my things in a dry-bag to work, but it wasn’t convenient to carry around, nor did my dry-bag hold very much. With weekly snowstorms and rain in the spring forecast, I knew that the Gregory I-Street (Available Fall 2016) would be a great fit for us, especially when it came to commuting my laptop back and forth from home to the local WiFi hotspots. 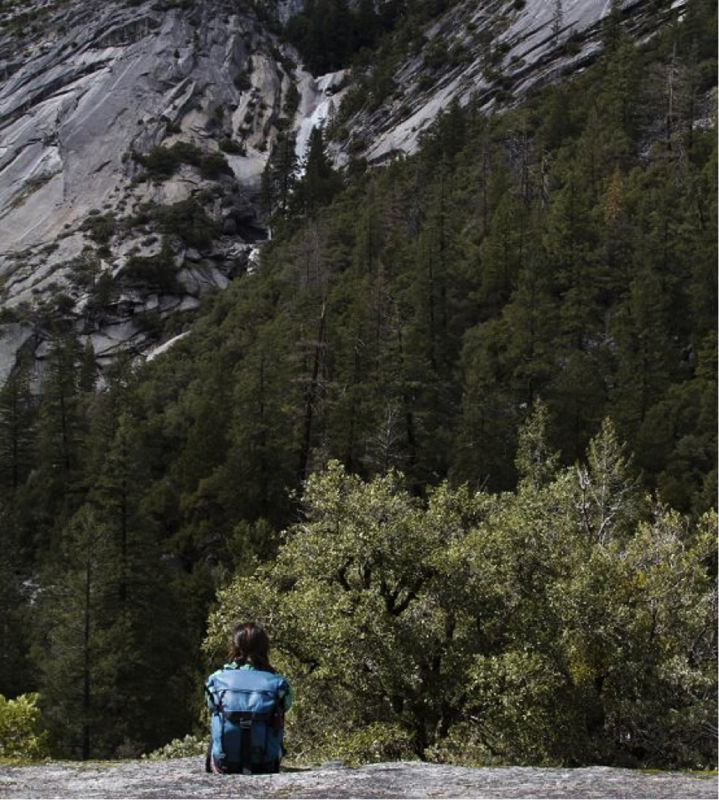 Living in Yosemite Valley, we don’t have the luxury of internet all the time, and carrying my laptop around often made me feel vulnerable to the elements. With the commuter in mind, this pack was designed with a unique laptop compartment, right against your back. And while the laptop is a stiff object, the thermoformed back panels still offer comfort while carrying. At first glance the pack doesn’t look waterproof, but it sure is. 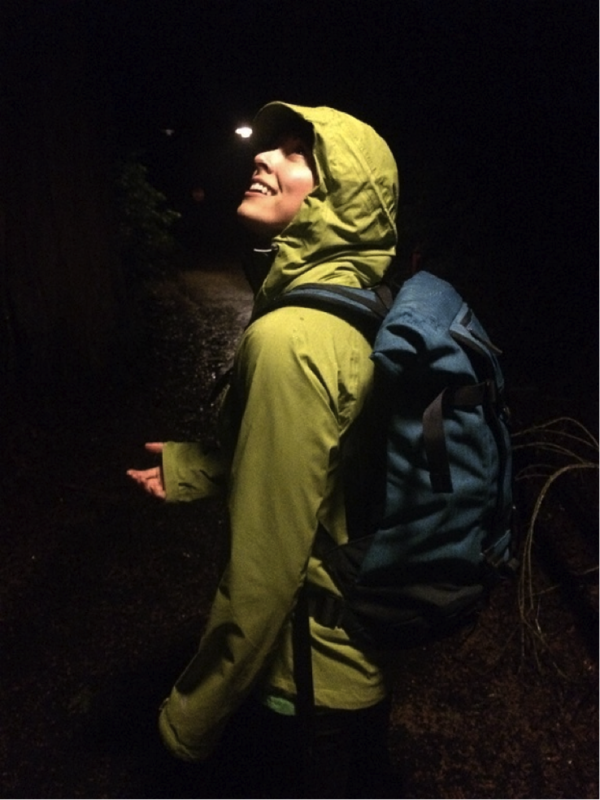 With spring rain trickling off the trees, I walked home from our local Wellness Center the first night I received the pack, laptop inside, ready to trust in the waterproof claim. 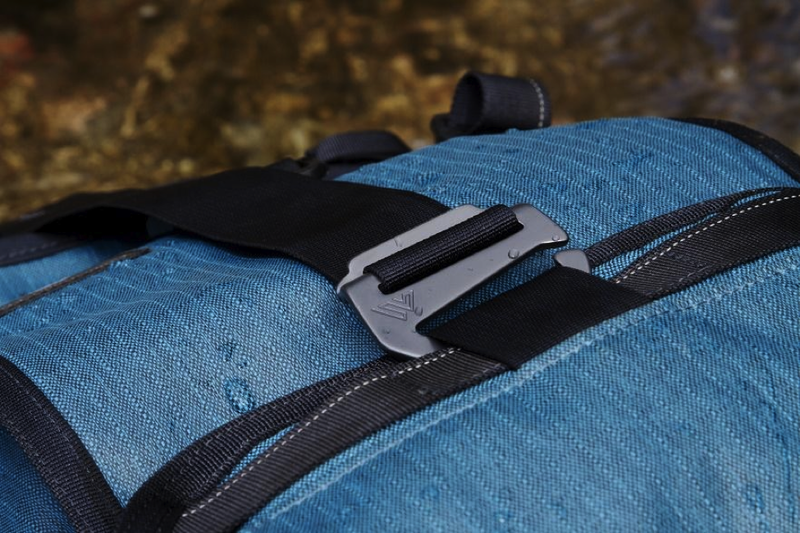 The water beaded beautifully and even the little stash pocket for your keys and wallet on the outermost layer stayed dry, thanks to the durable, ripstop tarpaulin fabric body with a TPU coating. 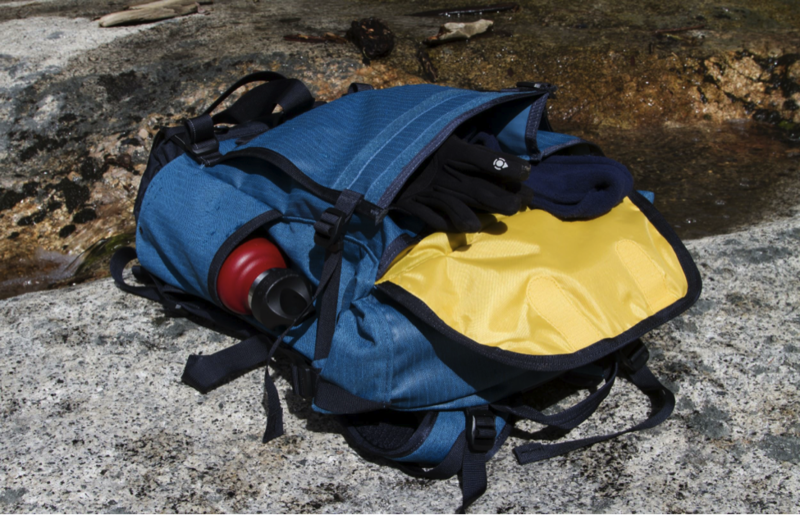 The exposed zipper is water-resistant and the roll-top closure for the main compartment is akin to that of a dry-bag. However, instead of clips for the roll-top, you have to synch the ends down via fixed straps. Thus, the roll-top safely guards the zipper to the separate laptop compartment. 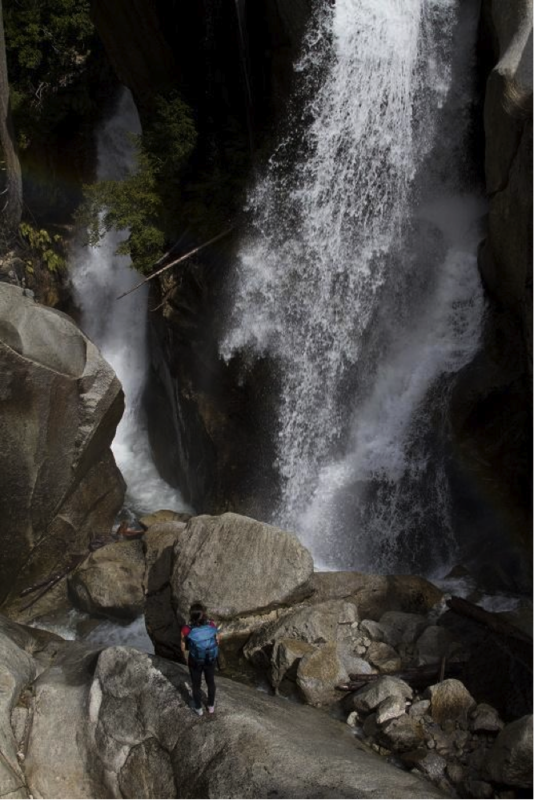 Inside, you immediately see what makes the pack so waterproof. The tarpaulin fabric almost looks like a layer of soft shell plastic. The inner polyester is a neat yellow, giving a fun contrast to the Highline Blue or Asphalt Black shell. There is also an adjustable chest strap and removable hip belt, which definitely helps secure the pack while riding your bike. There’s one water bottle pocket on the wearer’s right side and there’s an extra storage area on the front of the pack, with mini compartments for pens or whatever it is that you need to organize. One size fits all: The pack adjusts nicely so my partner can use it as well, which means it’s great for both male and female frames. Water bottle pocket doesn’t stretch, making it hard to fit a Nalgene (yet once you force it in, it definitely isn’t going anywhere). A Hydroflask or any thinner bottle fits more appropriately. Patience required: If you’re in a rush, it’ll take you an extra minute to make sure things are rolled and synched together. I’m used to clips and zippers for quick release and easy access, so I had to adjust to the fixed straps on this pack (yet patience is a virtue, right?). Hip belt: Keep an eye on your hip/waist belt straps. I had one of mine randomly nudge itself out on the bus one morning. While it’s neat to know that I can remove the straps, I had to double-back the straps to better ensure their permanence. The hip belt is also a very simple strap and not padded or with pockets – which I tend to enjoy (I love stashing chapstick)! 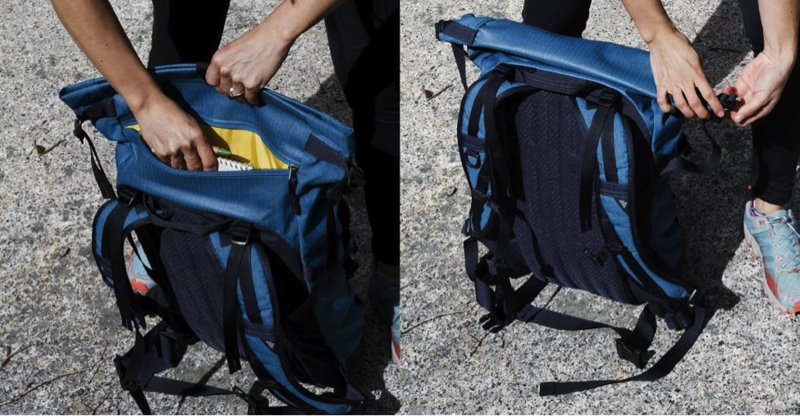 This pack is definitely for the short commute, quick jaunt into the woods, or as weekend luggage item, but not intended for strenuous hikes or backpacking. As part of the Gregory Everyday Collection, this pack covers a great range of uses for the day to day lifestyle. Waterproof and durable, the pack alone is definitely not for the ultralight fans, and I wouldn’t recommend carrying heavy items for long periods of time in this pack, so keep it casual. It’s my go-to pack for work, the gym and running errands. Living in the mountains, the weather can change fast, so it’s great to know that my things will be protected if I’m on my bike or out for a walk. I’ve found myself bush-whacking a few times and the fabric is certainly tough, not to mention it just looks great. All my co-workers have asked about it! I’ve been needing a functional yet stylish pack for a while now, and I’m definitely satisfied with the I-Street. By Outdoor Prolink Editorial Intern Sara Aranda. 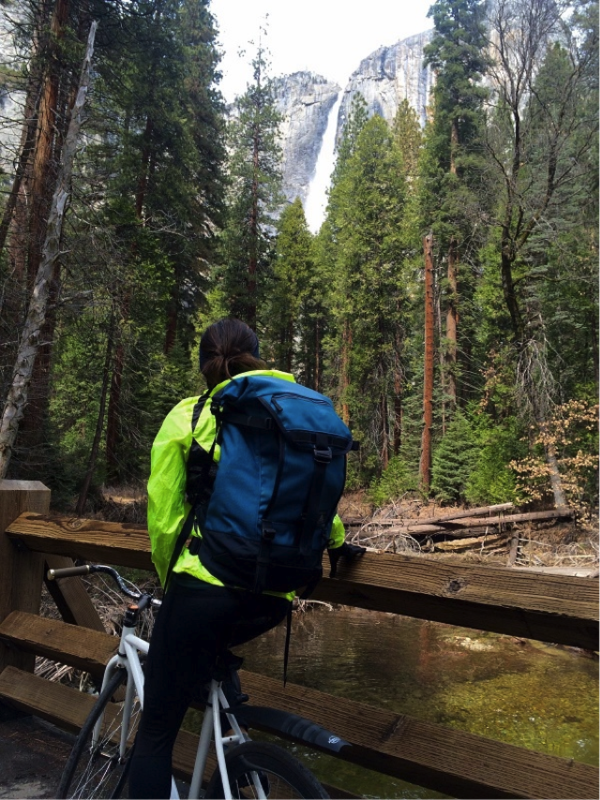 Sara likes to climb, trail run, travel and adventure and is spending her winter in Yosemite. How is the interior organization? I like the look of this bag, but I can’t find any pictures of what the inside looks like. Hi Cullen! Sorry for such a late response. The main compartment does not have any interior pockets at all, it’s just one big bag. So the organization is all exterior, besides the laptop sleeve. I took a photo of the inside but it seems I can’t attach anything to this comment box!